As the cool winters begin to show their true colors, I crave food that is wholesome, fillng and.....just plain comfortable. The kind that you can eat sprawled on your sofa, your feet covered with a warm fuzzy blanket. Food that nourishes you physically and mentally, food that nourishes memories, nourishes the soul. Comfort food makes me feel relaxed and happy. It’s food that jogs memories, fond memories. Food that gives me a feeling of warmth and satisfaction. And that is exactly what a Shawarma does for me. 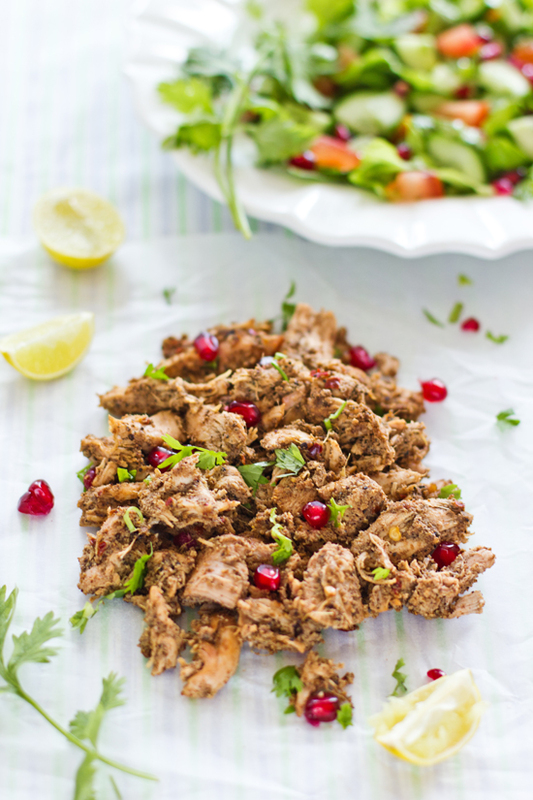 Shawarma is an Arabic pita wrap overflowing with shaved chicken or lamb. 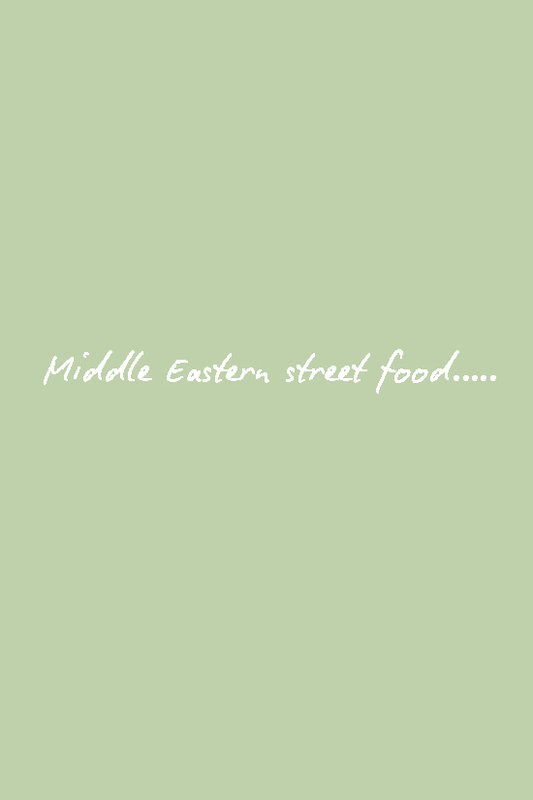 A crunchy tabooleh or fattoush salad accompanied by either tahini or hummus complete this Middle Eastern street food. Here in Dubai, it is a common sight at every souk corner to see layers of meat and fat slowly being cooked on a spit. A juicy tomato and onion sit like a crown on top of the spit, lending its own special flavors. The meat usually cooks for a whole day before a chef expertly runs a sharp knife in a rhythmic fashion, up and down the spit, shaving thin slices of meat. This is quickly collected into a hot pita bread and tossed around with various crunchy vegetables. French fries or pickled gherkins can also make an appearance in a shawarma. Lastly, a generous serving of garlic dip and Tabasco sauce finish of this popular street food. She had such a great time that every morning since, for a few days at least, she thought there would party! 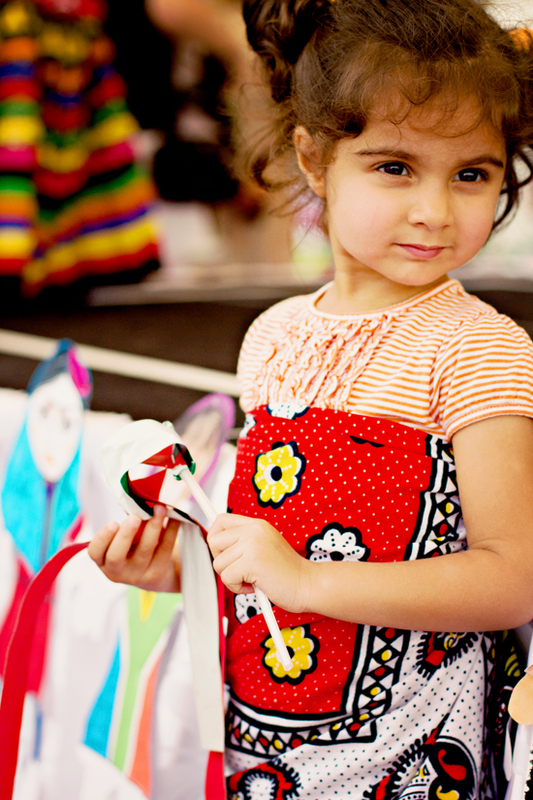 We ate food from around the world, sang songs in many languages and even had a fashion show. Mine and Maryam's favorite snack of the day was Muhalla- a sweet crepe made of dates and cardamom. I look forward to sharing the recipe with you soon. 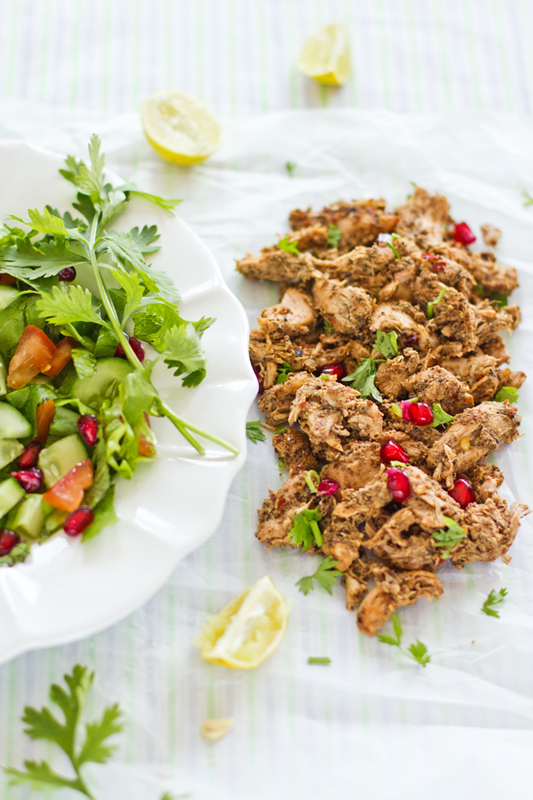 Today though, I’m going to share my version of shawarma with you. It is a special recipe purely because it comes from a special culture, one that I have embraced as mine. It may not have originated in Dubai but is still very Middle Eastern. 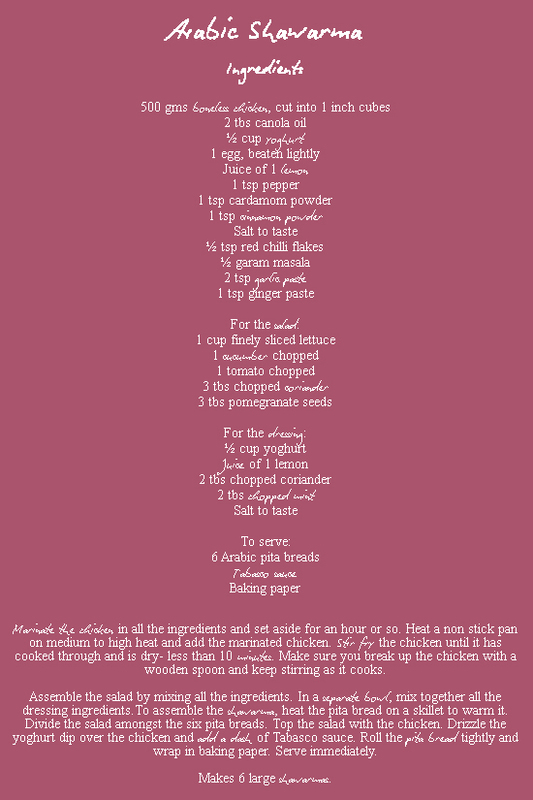 I hope the warmth and comfort of Dubai’s street food and culture will emanate from this recipe, from my country to yours, from my home to your kitchen. This recipe was also contributed to Foodiecrush Magazine's first issue. It features many of my favorite bloggers. You must take a look. Marinate the chicken in all the ingredients and set aside for an hour or so. Heat a non stick pan on medium to high heat and add the marinated chicken. Stir fry the chicken until it has cooked through and is dry- less than 10 minutes. Make sure you break up the chicken with a wooden spoon and keep stirring as it cooks. Assemble the salad by mixing all the ingredients. 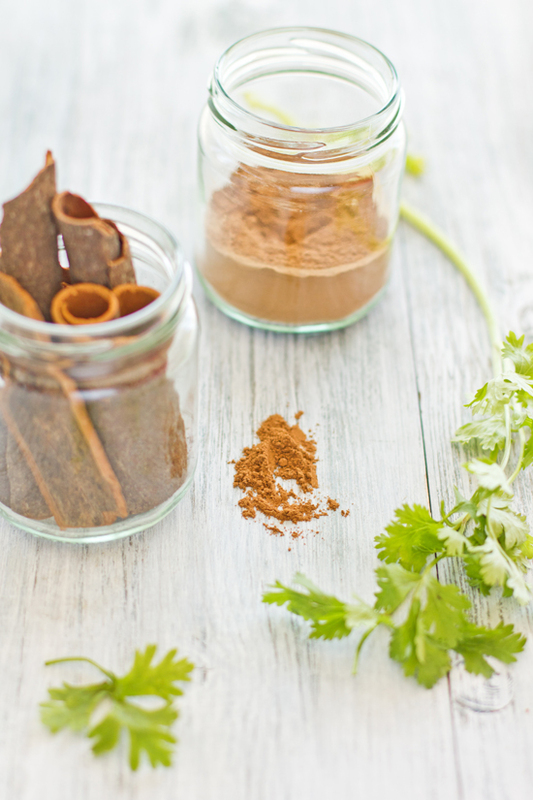 In a separate bowl, mix together all the dressing ingredients. 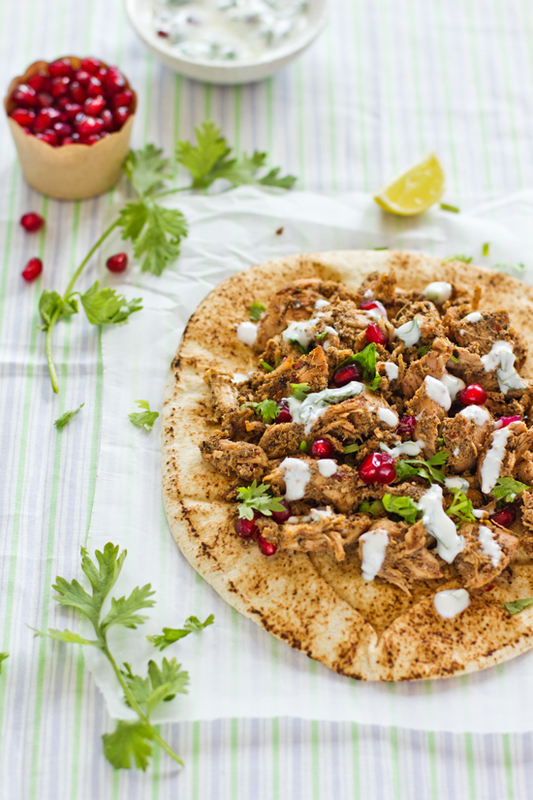 To assemble the shawarma, heat the pita bread on a skillet to warm it. Divide the salad amongst the six pita breads. Top the salad with the chicken. Drizzle the yoghurt dip over the chicken and add a dash of Tabasco sauce. Roll the pita bread tightly and wrap in baking paper. Serve immediately. Gorgeous photographs and words Sukaina, the recipe card looks wonderful too. I appreciate your hard work in giving us a delicious recipe, thank you! This looks amazingly tasty, and Maryam is a little beauty! Gorgeous pictures, and your bread looks just perfect! Congratulations on the feature too! The photos of this shawarma all look divine. But what is even more attractive to look at are the photos of your beautiful photo - your photography are amazing, and it's such a delight to see what kind of props, plates, and decorations you use in each post. oops, I meant to say beautiful daughter, not beautiful photos! Terrific! That is a specilaity I adore (and make myself), especially when used in sandwiches like those above. Lovely clicks and cute daughter. I eat shawarmas pretty much every week (my guilty pleasure!) but I must admit I never thought I could try making my own version myself. I'm bookmarking this to try soon...it seems quite simple. Oh wow. I had chicken shawarma in Damascus last summer and it really stands out in my memory, so I'm so glad I now know how to recreate it! 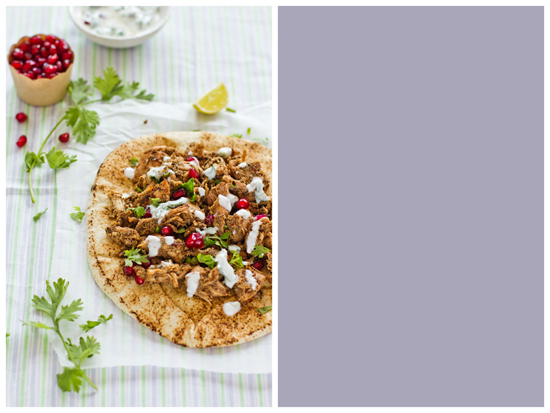 These photos are so beautiful, I love the herbs and pomegranate against the meat. Can't wait to try this. Thanks for pointing that out Asiya. I'm glad you tried the recipe out and it went well. One of our go-to foods since we moved to Bahrain. Love the shawarma that al albaraj( chain of restaurants) serve. Hope to take some inspiration from this post and make some of my own. Oh this is delicious! What an amazing flavor combination! Your pictures - as always are stunning! Love shawarma! I think since we moved to Bahrain, we eat shawarma, or hummus, or tabulah at least every other day. I love seeing the small shops lined up with the meat and watching them shave it off. Best part is it's all so cheap! I love your recipe, I'm totally goint to try it! Can't beat a good shawarma...especially hot and spicy. The fattoush looks good too. Surprisingly, shawarmas are very popular in South Africa - loads of places sell them in Johannesburg (probably because of the large Lebanese population). Here in London, they are sold as "kebabs" and the quality is generally awful so they have a really bad name as a late-night drunken snack - but a good one is a thing of great beauty and one of my favourite treats. Love the pictures! Oh, I seriously believe I could eat shawarmas, if not daily, at least twice a week. It is a shame that here in Macau we don´t have any good shawarma stall; although with your recipe I might start to make them regularly at home!. I live quite far away from you and I dídn´t know anything about shawarmas, but let me tell you that your daughter is lovely. I've never really tried shawarma at home though I've been crazy about it since my school days in AbuDhabi. You have really inspired me to do a homemade one from the scratch. And what beautiful pictures. MashaAllah, you are amazing! The photos are just perfect, they attracted my eyes and make me want to try this recipe very soon. Definitely the mood I am in, easy preparation before relaxing on the sofa with a warm blanket. ps: Your daughter is so cute! Warm wishes from dublin. Thank you so much for sharing this recipe. I'm definitely going to try this out! I always love seeing what other cultures street food is like. Now I want to know more about those Muhalla sweet crepes made of dates and cardamom. 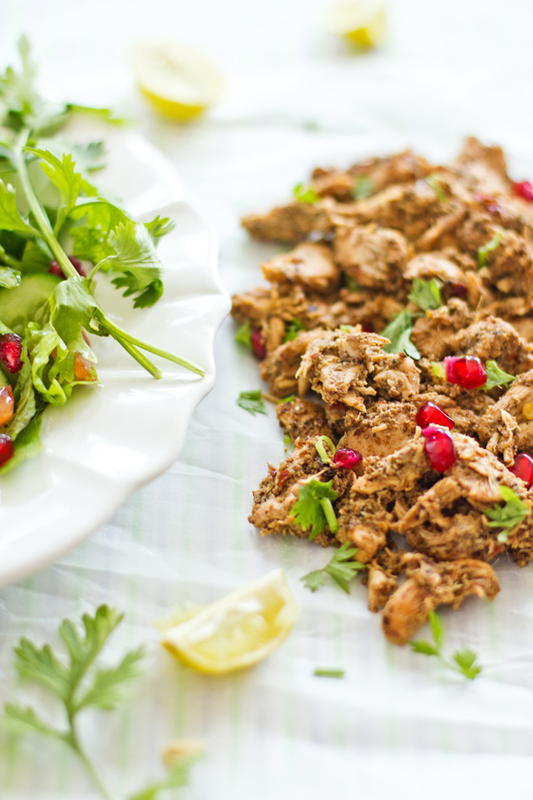 Your shawarma recipe sounds and looks like a dream! Having your beautiful daughter among the photos just adds to the loveliness. Yes, this *does* bring wonderful comfort and warmth. 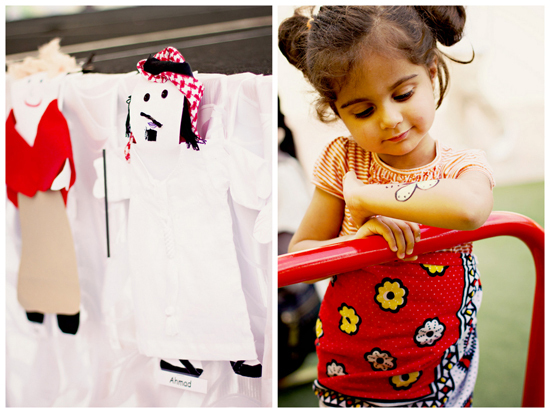 Thanks for sharing a beautiful and *delicious* part of Emirati culture. All best! The flavors in this are some of my favorite. 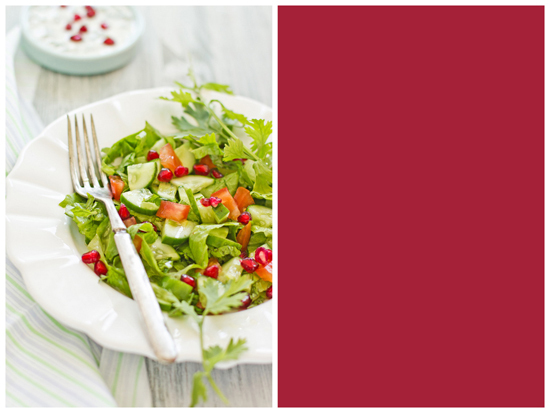 I especially like the addition of pomegranate - I'm forever adding the seeds to salads and grains! Oh how I miss shawarma! I grew up in Abu Dhabi and have never found (or been able to reproduce in the kitchen) shawarma with that exact same taste. My dad used to joke that the flavour came from the sand in the air. I didn't care - I loved it! Visiting Kuwait last year, I tried some with pomegranate and that was a really nice twist. 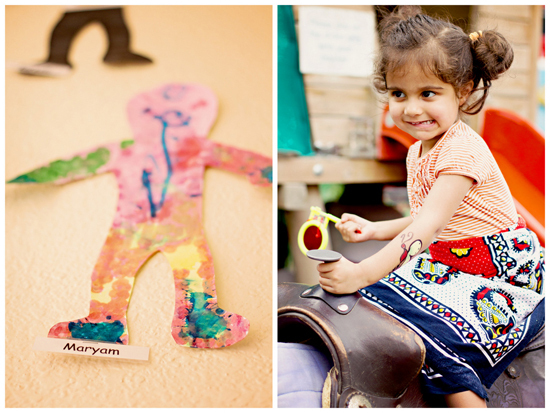 Gorgeous photos, and your little Maryam is a beauty! Congrats on the being in the top 9. Shawarmas make the perfect meal and snack! I could almost live on Shawarmas alone. Despite shawarma-kiosks being dime a dozen in my city, I'm definitely making this! Your blog/family/photos are ten types of gorgeous. Mashallah. 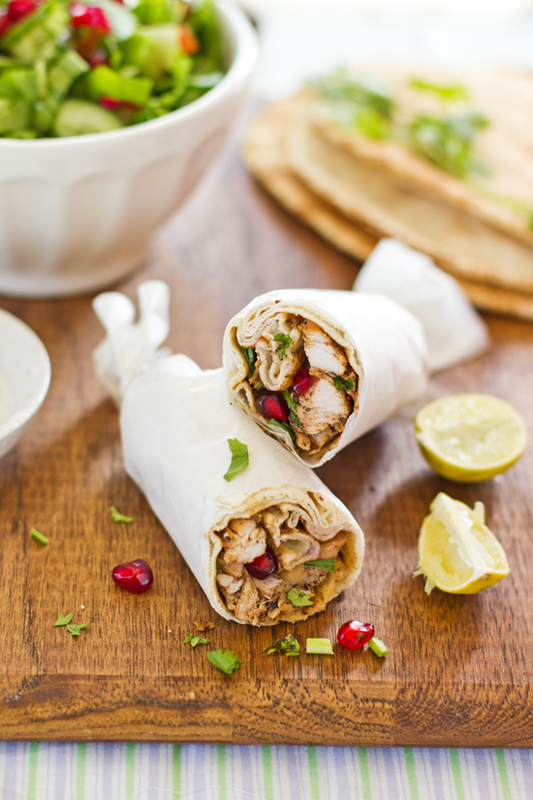 Shwarma looks super delicious and absolutely irresistible..
We absolutely adore chicken shawarma and your recipe sounds so delicious. 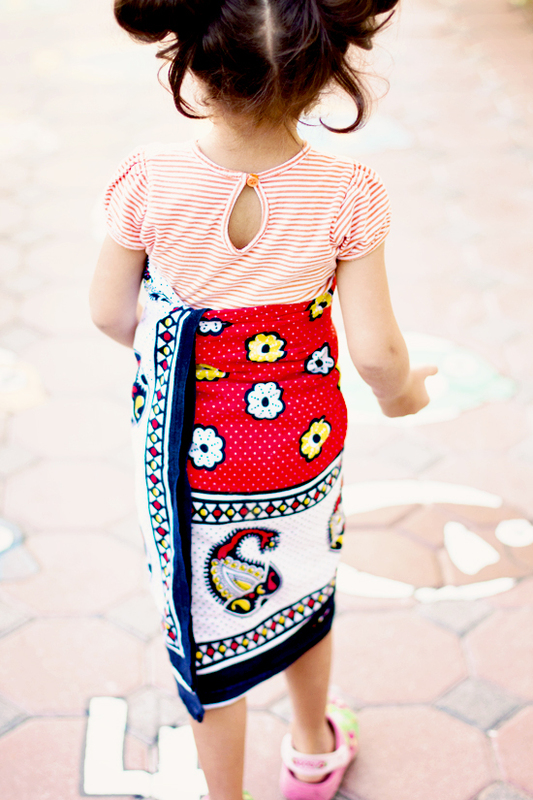 Little Maryam is charmingly beautiful. Wishing you two lots of fun in the kitchen from California. Looks really good! I have never tried this before! We love shwarma! Love it! And mmmm wrapped in pita or on a puffy pita or naan is the best meal I could ask for! Stunning, just like Maryam! This looks so moreish and delicious. I love the combination of spicy meats and cool yoghurt. Beautiful photos too. Just gorgeous. And yours has just the right authentic color. There are few things I love more than getting a fresh shawarma (especially late at night, I admit) in Amman or in Jerusalem. This dish, and your beautiful presentation, reminds me SO much of home. I am amazed at your beautiful photos! This is a wonderful blog and I will be back often. Your daughter is delightful, she is such a beauty. I had planned on making shawarma this vacation...one of my daughter's favorite, so good to see your recipe here. It looks perfect! Thanks! Mouthwatering and amazing food here! I also love all the pictures! This is a favorite of mine but I've only had it in restaurants. I'm sure your homemade version is unbelievable! My Mother is Assyrian- and though I've lived in Sydney all my life I grew up on Assyrian food. This Arabic dish reminds me of my childhood!! This looks so delicious. I love the all the colorful spices. There is a spice shop near my home. I'm going to try this tomorrow. I just love shawarma and I often make it at home. مشخصات دقیق واتراستاپ‌ها آشنا کنیم؛ با وبلاگ افزودنی های بتن همراه باشید. یکی از راه های که می توانید با ارزان ترین قیمت به این جزیره سفر کنید اسن است که از تور مالدیو استفاده کنید. در ادامه در مطلب اطلاعات سفر به مالدیو در مورد چگونه با هزینه ی کم به مالدیو سفر کنیم بیشتر صحبت می کنیم. مطلبی که در مورد کشور هندوستان وجود دارد این است که این کشور دارای 6 فصل می باشد که دو فصل موسم بارندگی و پیش بهار به چهارفصلی اصلی اضافه شده اند. در ادامه قصد داریم شما را با گوا یکی ازجذاب ترین جاذبه های گردشگری کشور هند آشنا کنیم.گوایکی از زیباترین و پرگردشگرترین شهرهای کشور هندوستان شهر گوا می باشد که اگر بخواهیم در مورد فرهنگ این شهر بگوییم می توانیم به این نکته اشاره کنیم که >گوا تلفیقی از فرهنگ هند و پرتقال می باشد.برای اینکه به این شهر زیبا سفر کنید بهتر از تور گوا استفاده کنید تا هزینه های خود را تا حد قابل قبولی کاهش دهید. این شهر دارای غذاهای بسیار لذیذی می باشد که با مراجعه به اولین رستوران محلی این شهر متوجه این مطلب خواهید شد. Write that she loved. No one blames her. "Pilli thought maybe her friends would want to write letters too, so she posted a simple message on Facebook that read, "We personally know someone whose mom is a neighbor to the man whose trailer accident led to (the) Carr Fire. Many have been thinking and praying for this man. As a result, the Protestants of Ireland were known as Orangemen. Orange eventually became one of the colours of the Irish flag, symbolising the Protestant heritage. His rebel flag became the forerunner of The Netherland's modern flag. the Dutch settlers of South Africa rebelled against the British in the late 19th century, they Black Cosplay Wig organised what they called the Orange Free State. For many people, looking back on the difficulties that caused and end to a relationship, it is easy to see how insignificant things really were. Unfortunately, and far too often the end of a relationship comes with so many events and feelings that Cheap Cosplay Wigs cannot be undone after the fact. So rather than push people away because of fear of complacency, it is best to live in your relationships with others every moment of every day! This way, you wont look back with regrets or remorse, but instead will know that you loved (and perhaps lost) passionately. "Who's to know? I was talking to someone the other day about our first Nashville house, which was a happy place for me, I had some of the best times of my life there and I've said multiple times, 'If we never would've left there But who's to know? Who's to say I wouldn't have left her? Who's to say I wouldn't have cheated on her? I was on the verge of outgrowing that situation. If the animosities kept building get into a vulnerable situation and you make Lace Front Wigs Cosplay stupid mistakes. I can't say it wouldn't have been me. I don't regret anything. All of it has made me a better human," Sheremet explains. "I joke that everyone should have their starter marriage. But, really, you shouldn't get married till you're 30. ".